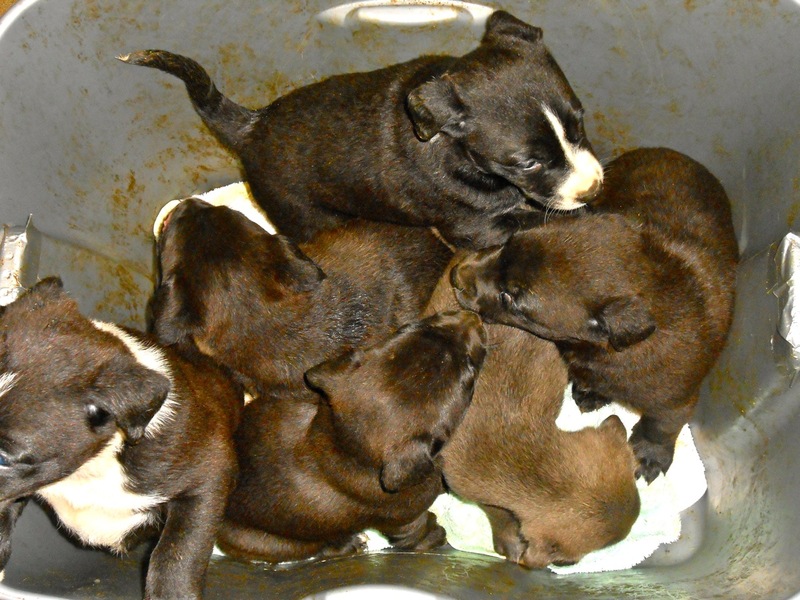 FORTUNA – On Monday, April 1 at approximately 1:30 p.m., Humboldt County Sheriff’s Office Animal Control was dispatched to the area of Palmer Creek Road and Valley Road, Fortuna, for a report of five abandoned puppies. 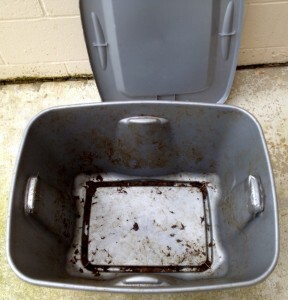 Animal Control Officers found six puppies in a grey Rubbermaid-style tote. The puppies and the tote were covered in feces and urine and were sitting in the direct sun. There were no air holes in the tote, and the small holes in the handles had been covered with duct tape. The citizen who discovered the puppies advised that there was a lid with the tote and it was found lying on the ground next to it. The puppies appear to be Border Collie mix, approximately seven weeks old. They were dehydrated and malnourished. They were transported to the Humboldt County Sheriff’s Office Animal Shelter. It is unclear exactly how long the puppies had been at that location. A citizen who was in the shelter when the puppies were brought in stated that she thought she had seen the tote sitting there the previous day as she was traveling on U.S. Highway 101. The abandonment of an animal is a crime. Anyone with information about these puppies is asked to contact Animal Control Officer Nims at (707) 445-7251 or call the Sheriff’s crime tip line at (707)268-2539. This entry was posted on Thursday, April 11th, 2013 at 12:53 pm	and is filed under News, Animals. You can follow any responses to this entry through the RSS 2.0 feed.